Cisco is looking at Camilla’s photos when he gets a ding. The cure has been synthesized. With the cure and his date tonight, he’s on a roll. There’s just one small problem. They have to wait 29 days to use the cure because this is February, but for pseudoscientific reasons, putting it in the speedforce will drop the wait time to an hour. Barry decides to go. Nora wants to go with him, but Barry’s sure that she can handle being without him for an hour. What could possibly go wrong? Ralph decides to break out The Book of Ralph: the Art of Love for Cisco’s date, which causes everyone except Nora to scatter. He also cyberstalked Camilla to see what kinds of guys she likes. He leaves Cisco and Nora. Cisco looks at Ralph’s pictures and leaves. Nora watches the clock. Iris is working on an article in her office when Cicada finds her. Cisco pretends to be a business type on his date, which does not go well. Cicada ties Iris up. He did some research on the woman who stabbed him and then gloated about it. Now he’s going to use her as bait. Cisco gets her distress signal, as does Nora. Iris is stuck on the roof. Nora brings Killer Frost to sort out the mess. Cicada uses his dagger as a boomerang and stabs Killer Frost in the back, killing her. Nora runs back in time to right after Barry left. She convinces Iris not to go to her office. Ralph’s cyberstalking picture is different this time. Ralph is in his office right across from Iris’s when Cicada comes looking for her. Cisco pretends to be a gym rat this time. He crashes and burns again because she likes brainy types. Cicada now ties Ralph up. Cisco vibes Camilla from the alternate timeline and then gets Ralph’s distress alert. So does Nora. 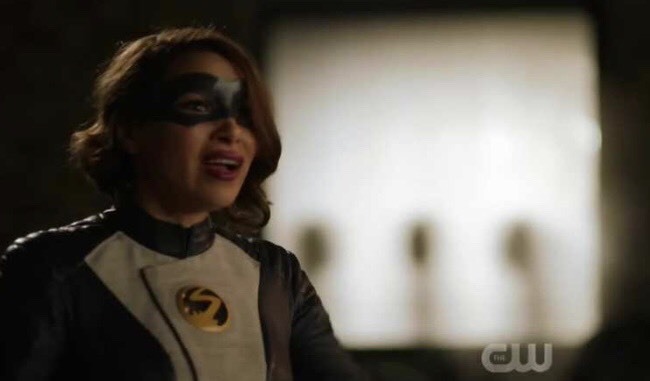 She and Killer Frost go to save Ralph, he tells them to move as the dagger boomerangs, and this time he gets stabbed. Nora runs back again. Sherloque notices her freaking out, but she says it’s nothing. She convinces both Iris and Ralph to stay this time. Cisco vibes the alternate timeline while looking at Ralph’s photos. Sherloque is snooping in Iris’s office when Cicada arrives and realizes that Nora has been time traveling. Cisco pretends to be a social media influencer. He vibes her again and starts flipping out. Nora goes to get Sherloque alone, but Cisco shows up and gets stabbed. She can’t go any further back, so she gathers everyone up and tells them to stay. Cisco vibes the alternate timeline again. Cicada finds a photo of Joe, Cecile, and Jenna in Iris’s office and kidnaps Cecile, who subsequently gets stabbed. 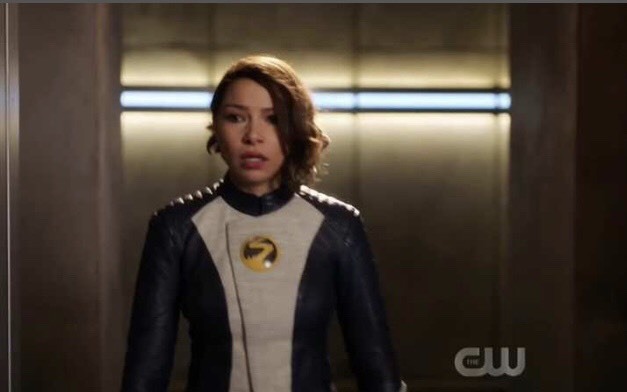 Nora tries to run into the speedforce to find Barry, but she can’t. When she goes into the cortex, Cisco’s figured it out. She’s now done this 52 times and hasn’t figured out a scenario where someone doesn’t die. Cisco finds Nora in the pipeline and tells her about Thawne killing him in the alternate timeline and how he should have figured it out sooner. He also talks about his date. He doesn’t need Ralph’s “help.” He just needs to be himself. He then says that since she’s done this so many times, she knows every move. They just need to work together to figure it out. Sherloque comes up with a plan. 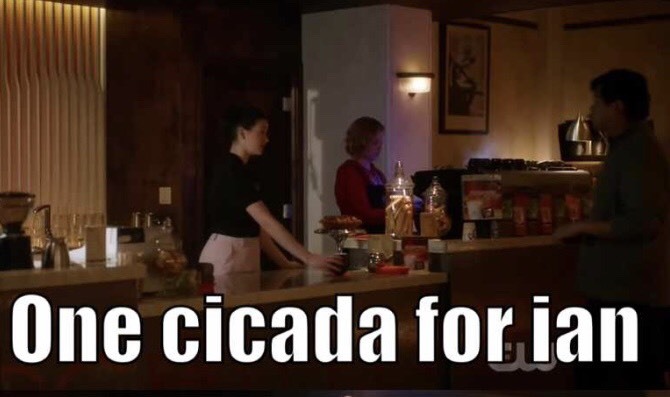 If they can help Nora slow down time when she backs it up, they can use Cicada’s dagger against him. Iris presents herself to Cicada on the roof. Cisco, Killer Frost, and Ralph portal in. Nora slows down time to stop the dagger from killing Ralph, turns it back to just before they portaled in, and causes the dagger to stab Cicada in the chest instead of anyone else in the back. He then flies away. Barry gets back and is completely innocent of any of this. 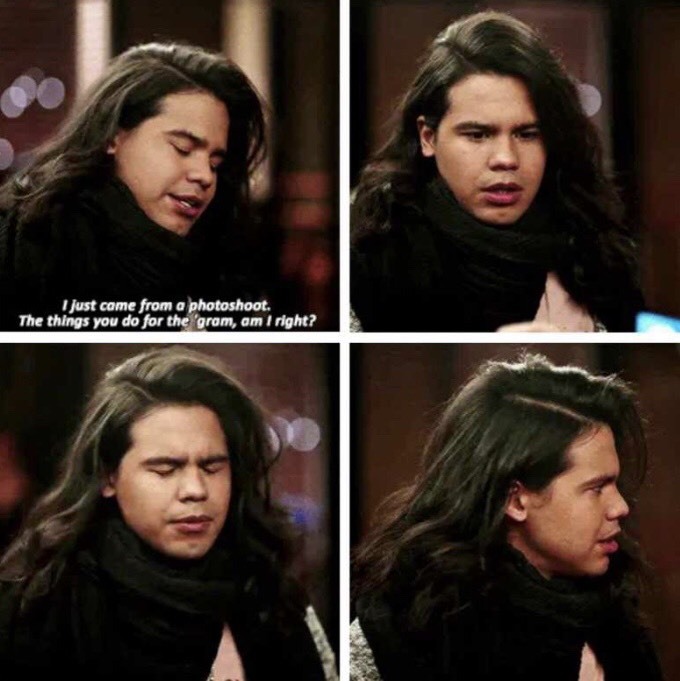 Cisco tries to save his date. Being himself gets him much further than any of his phony personas, and he gets a do over. Barry and Nora talk about the consequences of time travel. No matter how hard you try, you can never fix a timeline to exactly what it was before, like a broken coffee cup. You never know what the consequences are. In this case, Sherloque hits a breakthrough translating Nora’s journal. 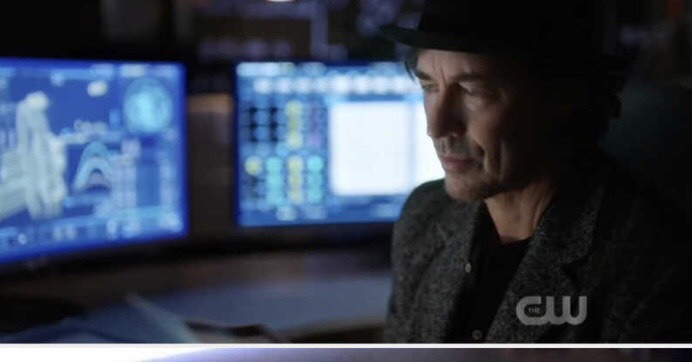 Nora asks Eobard if he really knows what he’s doing. He tells her to trust him. They’ll beat Cicada and save Barry. Why does he care? I need to know! How wrong can things go in an hour? Exceedingly extraordinarily wrong. This is the sheer ridiculousness that this show is known for, even if Barry wasn’t in it much. 8/10.